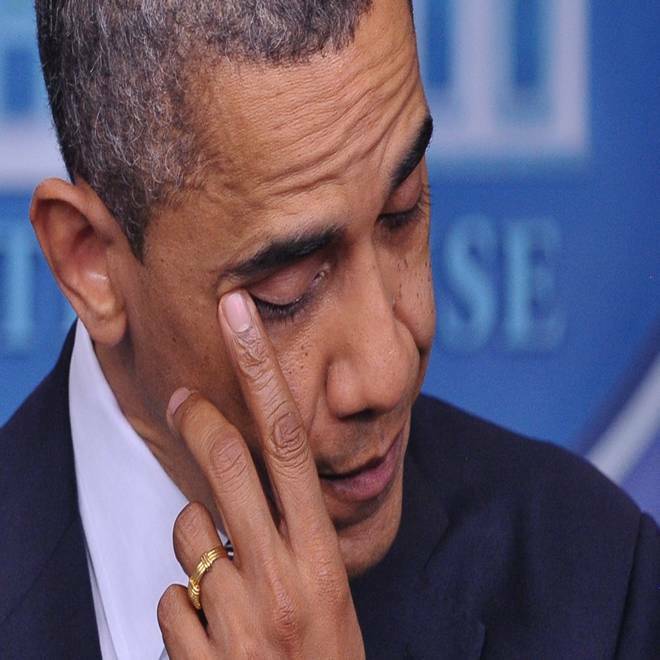 An emotional President Barack Obama led the nation in mourning the victims of an elementary school massacre on Friday, speaking from the White House following the shooting in Newtown, Conn. The president not only pledged to assist investigations into the shooting, but also became openly emotional upon reflecting upon the many school children killed or injured in today's mass shooting. Watch President Barack Obama speak about the Newtown shooting from the White House on Dec. 14, 2012. "Our hearts are broken today, for the parents, grandparents, sisters and brothers of these little children," Obama added, "as well as the families of the adults who were lost." The president said that he has become all too familiar with making statements of grief following mass shooting incidents, referencing recent events at a mall this week in Oregon, at a Sikh temple in Wisconsin in August, and at a movie theater in Aurora, Colo., in August. Those events -- along with a January 2011 attack in Arizona that severely injured then-Rep. Gabrielle Giffords and left six others dead -- have done little to provoke political action to rein in gun violence. "As a country, we have been through this too many times," he said. In his remarks Friday, the president suggested that the time might have come for some sort of work to prevent similar tragedies. In the meanwhile, the president said he was in contact with Connecticut Gov. Dan Malloy and other government officials to provide them with adequate resources. Obama also ordered that flags be flown at half-staff through sunset on Dec. 18. "While nothing can fill the space of a lost loved one or a child, all of us can extend a hand to those in need," reminded the president.